Rob Lindsay is Director of one of our partner organisations, Invisinet, who provide Wifi networks for homes and businesses. Here he tells us about some projects they've been running in rural areas. 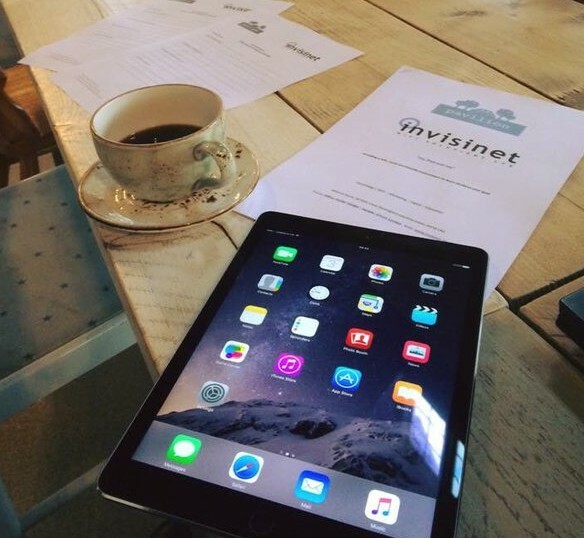 Since the start of the year, we’ve been delivering ‘My iPad and Me' beginners' coffee mornings at a local independent cafe, Pavilion at the Park, in Bedford. These fun, informal group classes are delivered by an experienced tutor and each has a loose theme or topic, such as setting up or syncing your email account. We also make sure to leave plenty of time for questions and for further tips and tricks to be shared between the group. The Invisinet team has been learning too. We now understand that when it comes to basic digital skills there’s a wide spectrum of understanding and experience out there. The ‘coffee morning’ design and classes with a general theme make for a friendly, social atmosphere where people feel comfortable asking questions and peer to peer learning is easy to stimulate. The class was wonderful, and the tutor encouraged us to ask questions and understand the terms. I now have my photos on the iCloud. We think the key to sustainability and engagement with any community is partnering with local charities, community centres and local organisations. Through links with local cafes and charities we have been able to source free venues; spaces that participants are familiar with and find it easy to get to. These relationships allow us to promote the classes to potential clients directly. Unlike many formal courses and ICT learning schemes the 'coffee morning' concept allows people to learn at their own pace through peer led support in a totally relaxed setting. Rob is an incredibly sympathetic tutor and will immediately put people at their ease. We're delighted to have teamed up with a local business to support existing customers and look forward to welcoming new ones too. Recently we volunteered to run classes in Bedford Central Library and we have a new enquiry to deliver larger coffee morning classes at a rural museum in Bedfordshire. Furthermore, we've been asked to offer training for care workers and volunteers for a local Bedfordshire dementia charity, also to be hosted at the Pavilion at the Park. There are huge benefits for the public in becoming more digitally capable, and it's not just the lifestyle apps we can all enjoy. Getting online opens up a world of support services and information which are available instantly, at any time. Mental health is now at the forefront of public health concerns and technology can support this when used in the right way. Whether it be keeping in touch with loved ones abroad by Skype or using a Mindfulness app to calm anxiety. We recently got involved in Time to Talk Day and rethink mental illness with Mind UK. 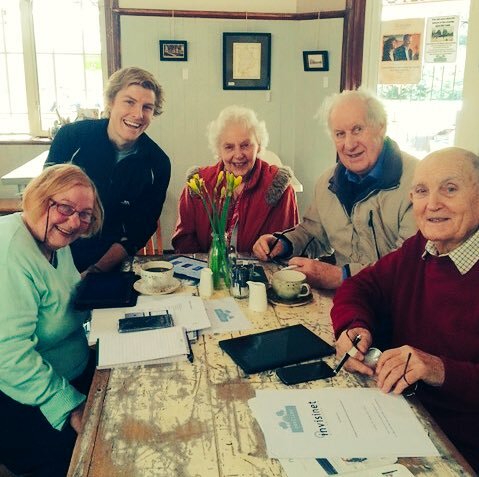 Age UK reports that depression in the over 65s is expected to rise fastest in rural areas, but we believe it can be combated and relieved through online engagement and social interaction. So yes, getting more people online is important for our business, but it can be a whole lot more important for those we can help to see what the digital world has to offer.